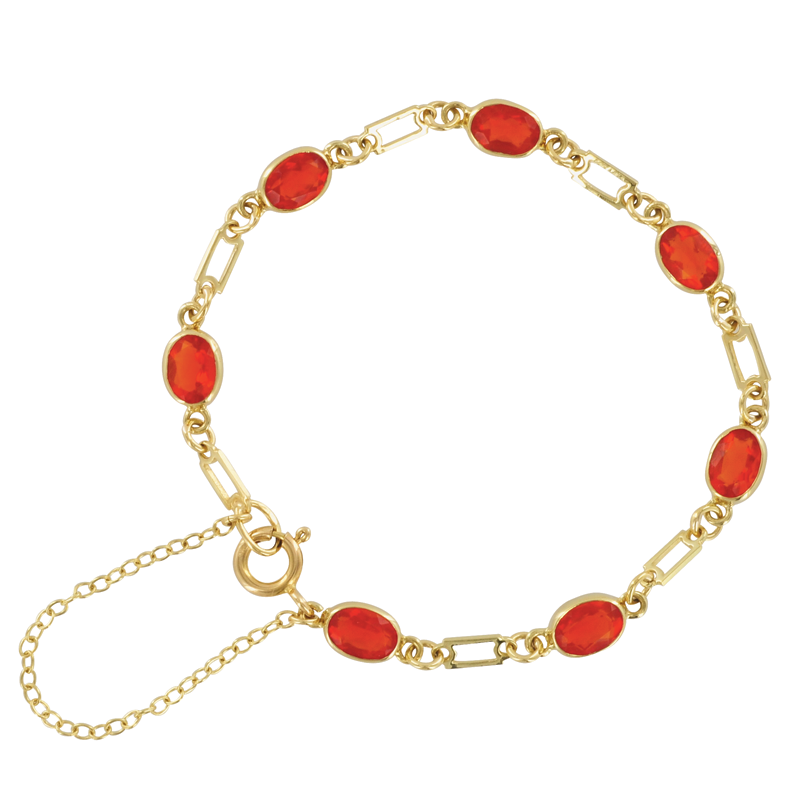 The Dynamic Grandeur of Rare Fire OpalsStepped up in grandeur, this bracelet of rare fire opals contains larger, oval gemstones, set between open links of 9ct yellow gold, adding a deep lustre to their naturally warm, flame colours and dynamic sparkle. Bracelet length 6 1/2" with safety chain. Gemstone size 7 x 5mm.